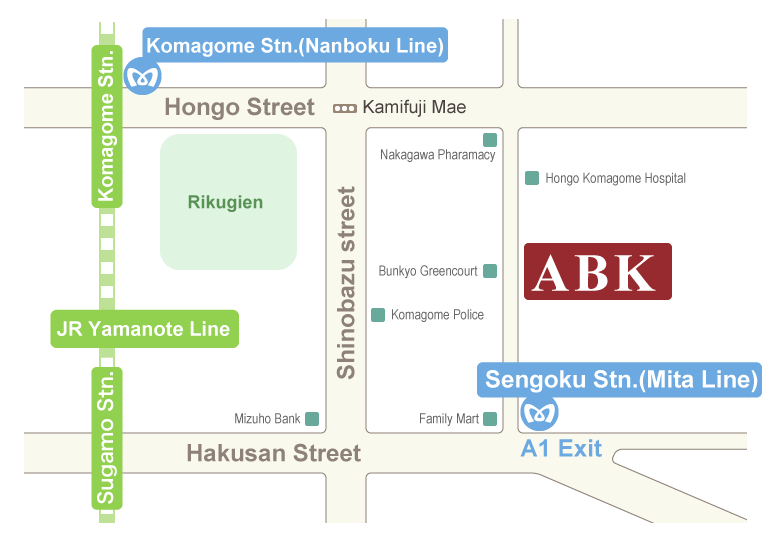 ABK is located at the heart of Tokyo’s 23 wards, in Bunkyo ward, which in the Edo period was famous for being an educational town, with an institution called the “Shouheizaka School” being established there under the control of the Edo shogunate. Even today, schools such as Tokyo University, Ochanomizu University, Tokyo Medical and Dental University, Toyo University, Juntendo University, Chuo University, Nippon Medical School, and the Japan Women's University continue Bunkyo ward’s tradition as an integral part of Tokyo’s higher education district. 3 minute walk from the Toei Subway Mita Line Sengoku station A1 exit. 10 minute walk from the JR Yamanote Line Sugamo station. 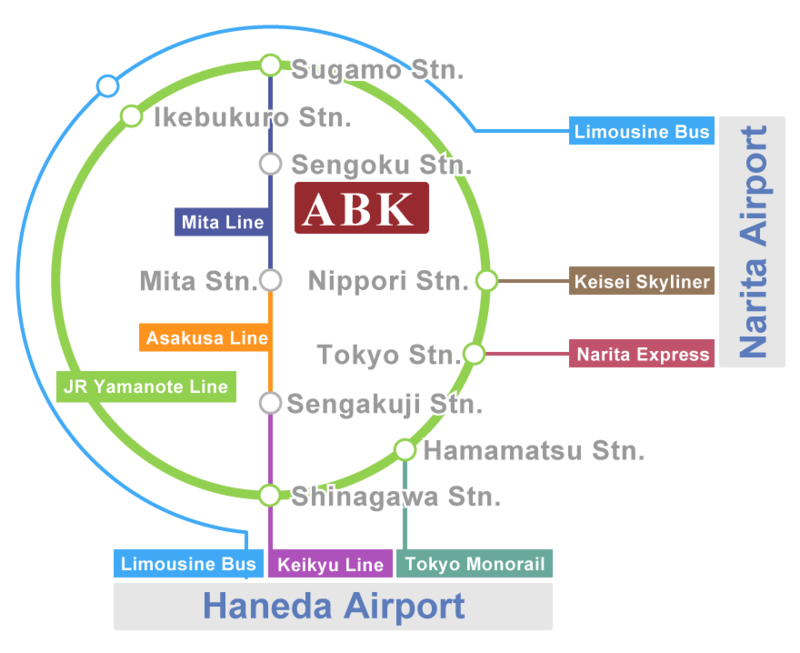 10 minute walk from the Tokyo Metro Namboku Line Komagome station.